My imagination when it comes to cookies is fairly limited. I am usually seduced by a good, gooey chocolate chip cookie or ones stuffed full of nuts and dried fruit, and while there will always be a place in my head, heart and stomach for cookies like that, I get excited when I see something I have never thought of before, especially when it comes from a source as deliciously reliable as Yotam Ottolenghi. I have to say, Jerusalem is still my favourite cookbook that I have. My collection is not vast but I always go to it for some inspiration when I am in a rut. I have cooked tons of his savoury dishes, some of which I have shared here (often with very few adaptations). But I got sucked in to his wonderful dessert chapter and these cookies really stood out to me for a bunch of reasons. 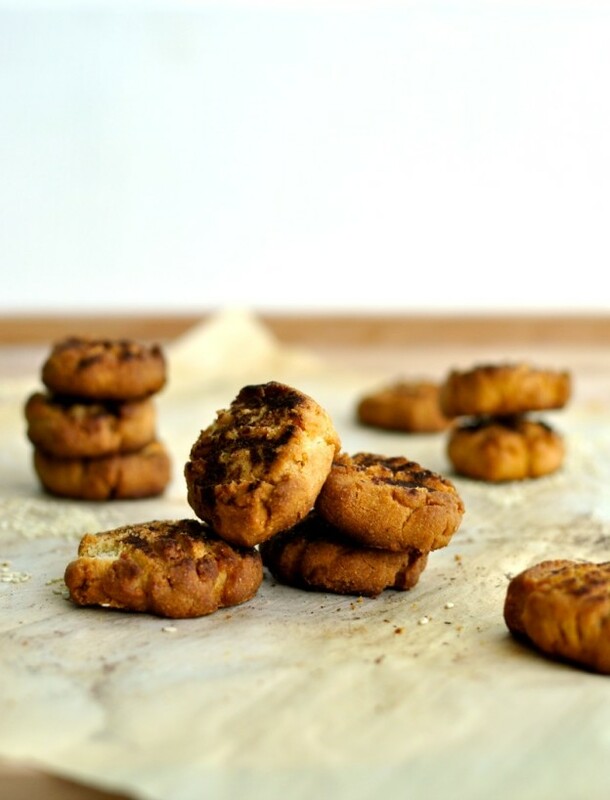 This entry was posted in Dessert, Snack and tagged cookie, Dessert, food, halva, middle east, middle eastern, middle eastern cookies, middle eastern cookies recipe, ottolenghi, recipe, sesame, sesame cookies, sesame cookies recipe, Sweet, tahini, tahini cookies, tahini cookies recipe, unique cookies on March 17, 2015 by mysecondbreakfast. I never used to keep couscous in the house. Not for any reason in particular, it was just never on my radar. Now that I am playing around with it, I am realizing how much a grain can inspire different flavours. I definitely don’t usually use spices like cinnamon and paprika very often, but couscous calls for some middle eastern flair, so I went to my most reliably delicious Middle Eastern source, Ottolenghi. 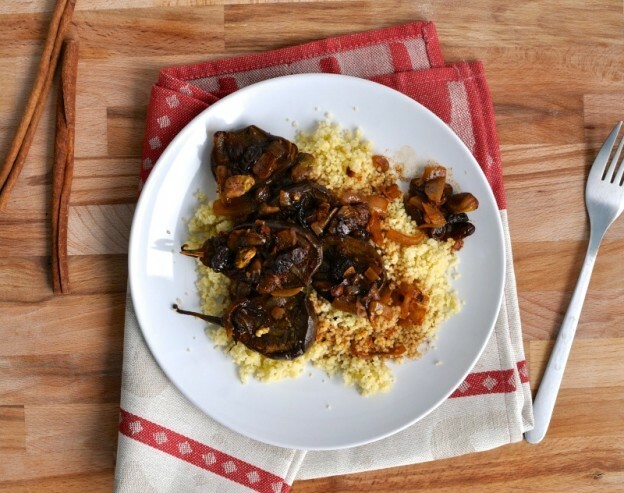 This time around I wanted to pair couscous with some mini eggplants, that I bought, once again, because they were so cute. While I realize this is not the best strategy for buying food, I can’t help it. Even though it was tough to figure out a dish, I’m pretty happy that I was forced into a place that I wouldn’t have explored otherwise because it ended up being a very delicious journey. This entry was posted in Lunch for Work, Main, Vegan and tagged couscous, couscous recipe, dinner, Easy, eggplant, eggplant couscous recipe, eggplant recipe, food, Healthy, middle eastern, middle eastern couscous recipe, middle eastern eggplant, middle eastern eggplant recipe, middle eastern recipe, ottolenghi, recipe, Vegan, vegetarian on January 16, 2015 by mysecondbreakfast. Last night I held book club at our place. I toyed with the idea of making tons of new stuff that I could share up here, but decided to go with a tried and true meal (curried lentil soup, kale salad with dates, pita and sumac, and some chocolate chip cookies) especially since it had to be vegan and dairy free. Anyway, eating the salad reminded me how glorious salad with some crispy bread in it is. Unfortunately, I’m not used to cooking for more than two people and there were no leftovers to satisfy my cravings. 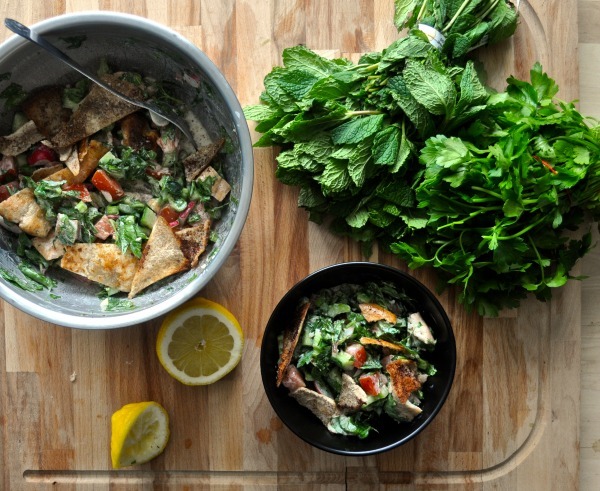 Instead of making the same salad today, I decided to make another crispy bread wonder: fattoush. 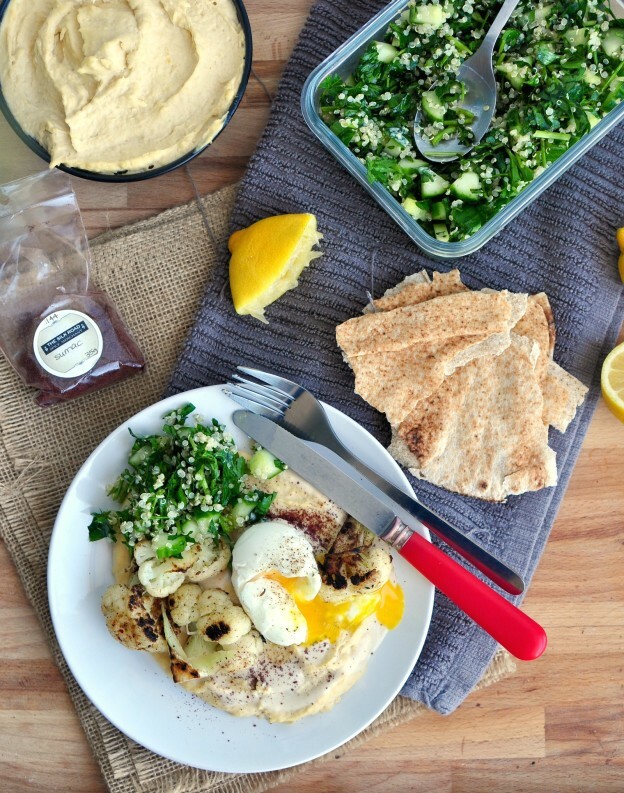 This entry was posted in Lunch for Work, Potluck Dishes, Salad, Side dish and tagged fattoush, fattoush salad, fattoush salad recipe, food, Healthy, middle eastern, ottolenghi, pita, potluck, recipe, Salad, vegetarian, vegetarian fattoush, vegetarian fattoush recipe on March 31, 2014 by mysecondbreakfast.